Antwerp is a port city on Belgium’s River Scheldt. It is the cultural capital of Flanders, the Dutch-speaking northern area of Belgium, and has a history dating back to the Middle Ages. Antwerp is both a bustling industrial port city and holds significant cultural importance in Belgium. Antwerp is a major economic centre in Belgium and its economy mainly relies on its port, diamond trade and chemical industry. Antwerp’s dockland has five oil refineries which have led to a substantial focus on petrochemical industries in the city. But the other main industry of Antwerp is its diamond trade. It has four diamond bourses of which one is for boart and the other three for polished, ready to export gems. Antwerp Airport is 7 km from Antwerp city centre and takes just 15 minute to drive. Hop on the bus line 14 connection between railway station “Antwerpen-Centraal” and Antwerp AIrport. 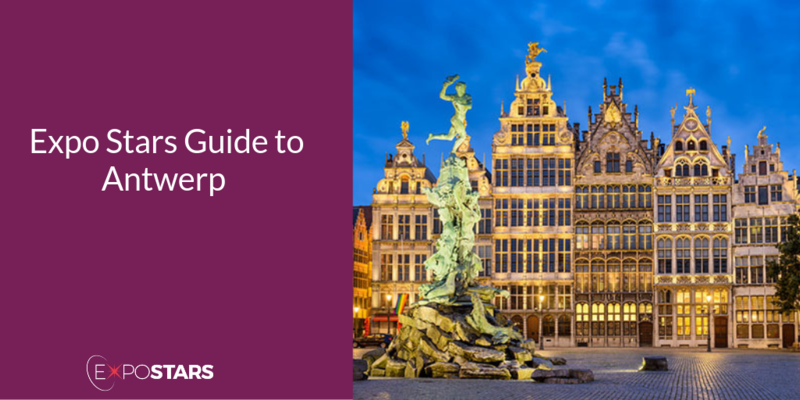 Explore Antwerp’s Grand Place (Grote Markt), with its town hall and numerous guild houses it is the heart of the old town. Look around The Cathedral of Our Lady (Onze Lieve Vrouwekathedraal), Belgium's largest Gothic church. Take a tour of the Port of Antwerp with the The Haven Route, an approximately 50-kilometer-long sightseeing tour of the port area, marked out by the Antwerp Tourist Office. Grand Café Horta serves champagne breakfast and a wide choice of meat and fish at lunchtime including seasonal suggestions and one of the best steak tartare in town. Zuiderterras serves traditional fish and meat dishes made with the freshest ingredients but with a creative twist. The official languages are French and Dutch. You may need to apply for a visa if you aren’t from a Schengen country. Belgians usually strive towards reaching a compromise.Winning a discussion is generally regarded as less important than achieving mutual agreement. Decisions are made at the top of an organisation. When attending a meeting, everyone is expected to be on time.